(ST. LOUIS, MO – Sept. 19, 2017) - Susan G. Komen Missouri Executive Director Helen Chesnut announced today her plans to pursue other opportunities. She will remain the executive director until a new one is found by the organization’s board of directors. Chesnut has served as executive director since 2008, making her the longest standing executive director in Komen Missouri history. Previous to serving as director, she was an active Komen Missouri volunteer — a role she plans to retake as the transition occurs. Under Chesnut’s leadership, Komen Missouri achieved increased influence and depth of programming. The annual Susan G. Komen Race for the Cure set national records, which helped increase awareness and visibility of breast cancer in communities across the country. Also, it was during Chesnut’s tenure that Komen Missouri came to be known as the entity it is today. She helped to create the pathway for Komen St. Louis to merge with Komen Mid-Missouri. The present-day Komen Missouri organization encompasses more than 38 counties in Missouri and Southern Illinois. “We have been honored to have nearly two decades of service from someone like Helen, and while we are sad that she will no longer be our executive director, we are proud of the legacy she has created for women in need in Missouri,” says Renee Hall, president of the board for Susan G. Komen Missouri.  About Susan G. Komen® Missouri Susan G. Komen Missouri is an independent, local nonprofit organization dedicated to fighting breast cancer year-round. Komen Missouri’s mission is to save lives by meeting the most critical needs in our communities and investing in breakthrough research to prevent and cure breast cancer. Komen Missouri is dedicated to meeting the breast health needs of the women, men and families in its 38-county Missouri/Illinois service area. Seventy-five percent of the organization’s net proceeds stays in the local community to fund breast cancer screening, breast health education and patient navigation and support services. The remaining 25 percent of net proceeds funds cutting-edge breast cancer research. Visit komenmissouri.org. Call 314.569.3900 (Greater St. Louis office) or 573.445.1905 (Mid-Missouri office). Connect with Komen Missouri on Facebook and Twitter. About Susan G. Komen® Susan G. Komen is the world’s largest breast cancer organization, funding more breast cancer research than any other nonprofit while providing real-time help to those facing the disease. Since its founding in 1982, Komen has funded more than $889 million in research and provided $1.95 billion in funding to screening, education, treatment and psychosocial support programs serving millions of people in more than 30 countries worldwide. Komen was founded by Nancy G. Brinker, who promised her sister, Susan G. Komen, that she would end the disease that claimed Suzy’s life. Visit komen.org or call 1-877 GO KOMEN. Connect with us on social at ww5.komen.org/social.